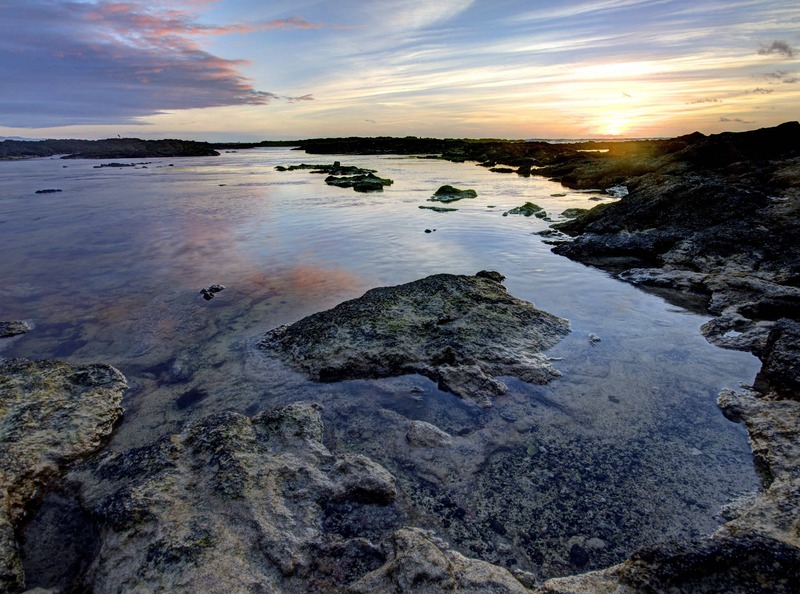 The beaches of El Cotillo are very varied. There are sheltered beaches to the north of the village and more rugged (but more spectacular) beaches to the south. 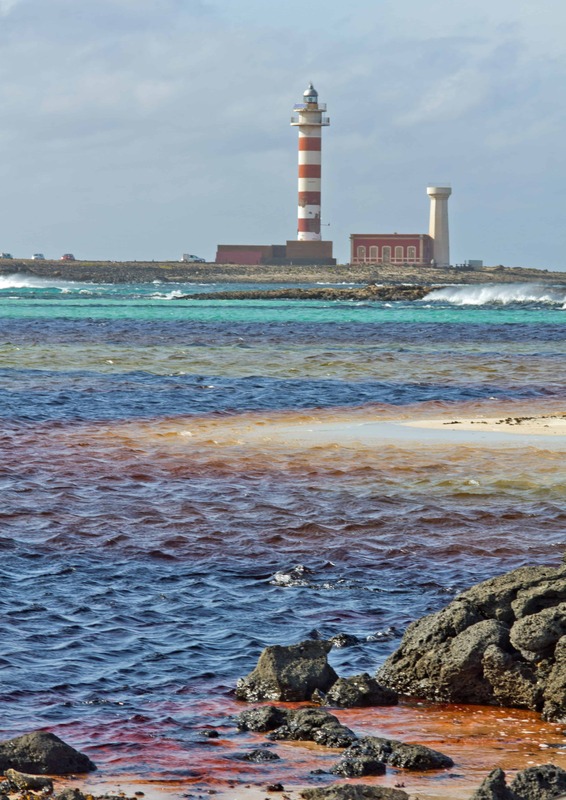 I started the tour to the north, near the Toston lighthouse, where the beaches lie among the lagoons. These are formed by large groups of rocks just off the coast which take the brunt of the waves, leaving calm sheltered water behind. They are great for swimming and snorkelling. This is the area used most frequently by naturists as the rocks provide plenty of privacy. The next beach south is the Caleton Beach – so named after the apartments located on the beach. This is particularly lovely for swimming and for children when the tide is in. When the tide is out a rock pool is left which always has a shoal of fish in (shown in the video). This beach is used frequently by naturists. Continuing south, the next beach is Playa la Concha. It is also known as Shell beach and even Torino’s beach (because of the beach bar run by Torino). 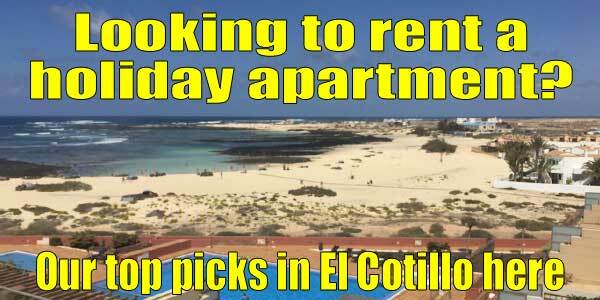 This is one of the most popular beaches in El Cotillo as it has safe swimming and the beach bar. To the right of the beach (looking towards the sea) is an area used by naturists. Whether you wear clothes or not anywhere is not an issue – everyone co-exists quite amiably normally. 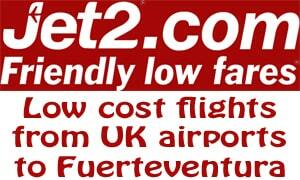 During the Spanish summer holidays however the beach is much less naturist. The other beaches of El Cotillo are all south of the village. 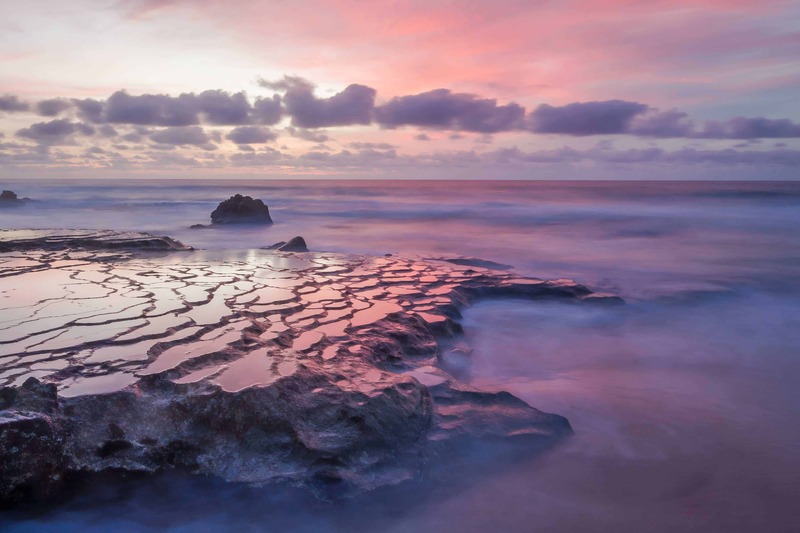 The first, just a few minutes walk along the cliffs, is Piedra Playa (Stone Beach), also known as the Surfer’s Beach and sometimes the Wild Beach. This is the beach that is so popular with surfers, wind-surfers and kiteboarders/kitesurfers. There are lifeguards on duty most days and they fly the red, yellow or green flags. Care must be taken when swimming as there can be quite an undertow. Quite often we get a big storm in the winter and much of the sand gets washed off the beach. It then takes 4-5 months to magically rebuild itself. The last beach I am covering in this video is Steps Beach, so called because a set of steps were built some years ago giving access to the beach. It is my favourite beach of all the beaches in El Cotillo. About 8 years ago Sue and I went there for the first time. After we got to the bottom Sue took one look at the Heath Robinson build of the steps and said she would never go down there again – and she hasn’t! Steps beach is often only used by 3 or 4 couples a day, except during July and August. I have been there in the winter (but still lovely weather) in an afternoon and my footprints have been the first on the beach since high tide. 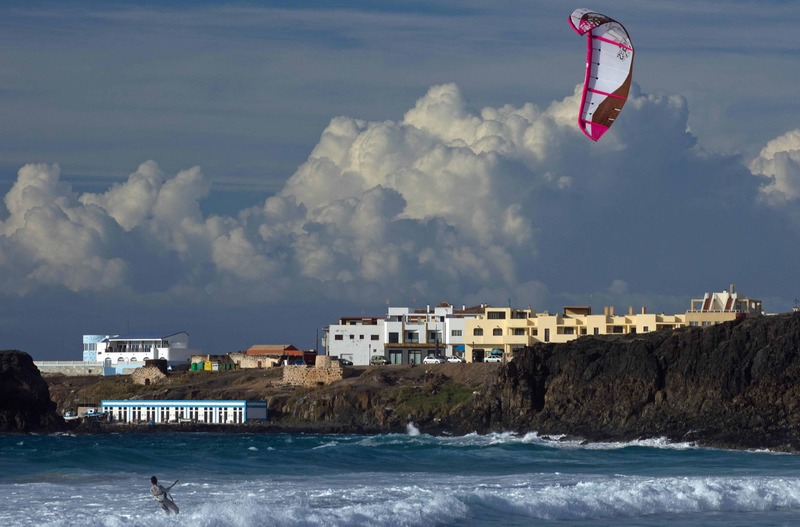 I will make another beach video covering the next two beaches of El Cotillo going south – Esquinzo Beach and the very hard to find Tindaya Beach in the future. 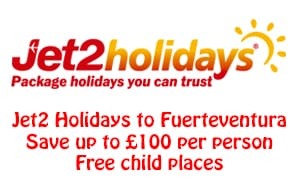 ← How to spell Fuerteventura!